Taking out a personal loan can be a smart and highly-effective way to consolidate your debt, which is the most common reason to take out such a loan, or you can also use one to get the funds necessary to pay for a sudden expense. You might need to deal with an emergency, pay for a large household expense, or just cover a temporary personal cash-flow issue. While a personal loan can help you financially, there can also be some pitfalls along the way. Here’s what you should and should not do when you take out a personal loan. Not all personal loans are created equal, and not every lender has the same concerns. Here are some things to keep in mind. Remember, there are both good and bad reasons for taking a personal loan. Make sure that the type of loan you’re taking suits your needs and that you can keep up with the payments. The most common type of personal loan for emergencies and temporary issues is an unsecured short term loan. An unsecured loan means that you don’t need to put up anything as collateral against the loan. The advantage is that you don’t risk losing your collateral if you can’t make payments. On the other hand, because you didn’t put down collateral, you tend to have higher rates with an unsecured loan. A secured loan requires you to put something up as collateral like your house, your car, jewelry, or existing savings, but in exchange, you usually will get a lower interest rate. If you’re confident that you can repay the loan on time then a secured loan will probably cost you less overall because of the lower interest rates. If you’re facing an emergency and you need the money sooner rather than later, then look for an online loan provider such as LendingTree or Credible which can get you approved in minutes. Companies like LendingTree can get you the money in a matter of days, unlike more traditional lenders, which can take weeks to get you the funds. If it’s not extremely urgent, then feel free to take your time and shop around until you’re confident you’ve found the best deal for you. While banks can often provide lower APRs and better terms, they tend to take longer to process loan applications and have significantly higher eligibility requirements than online lenders. A number of lenders, such as Even Financial, have made lending to borrowers with lower credit a central component of their business model, and should be able to sort you out if you have lackluster credit. Online lenders are also usually more flexible in their terms. For example, SoFi is an online lender that allows borrowers to suspend payments for up to 12 months if they run into financial difficulties. This can help you keep from getting more into debt if you lose your job or find yourself in thinner times and unable to make your loan payments. You can also borrow from credit unions, which are more likely to lend to borrowers with poor credit scores. Another option is a peer to peer lending platform like LendingClub, which connects borrowers with lenders so that both sides find a better fit for their financial needs. Taking out a loan without mapping out a viable repayment plan is asking for trouble. Before you apply for a loan, work out how much you can reasonably expect to spend on repayments each month. If you’re relying on a future windfall like a promised bonus or your salary to pay off the debt in one lump sum, choose a lender like Marcus that doesn’t charge any early prepayment fees. Look beyond the monthly APRs to check what repayment terms each lender is offering, including loan origination fees. LendingClub and AmOne are among the online lenders that don’t charge any origination fees and don’t penalize you for missed payments or personal check processing fees. Some lenders ask for weekly repayments while others expect monthly payments. Still other lenders have the flexibility to let you choose whether you’d rather pay off the loan in weekly or monthly installments. Take your time to shop around, and you should be able to find one that can approve the repayment terms that are right for you. APR can be either variable or fixed-rate. Variable-rate loans are more likely to go up in interest rates than to come down, while fixed-rate loans are, well, fixed, and you know exactly what to expect each month. There’s also the question of whether you’d prefer a short-term loan, which is around 3 years or less in length, or a long-term one. A long-term loan usually brings lower monthly payments, but because the repayment is spread out across a longer period of time you will end up paying more for the loan overall due to the interest. 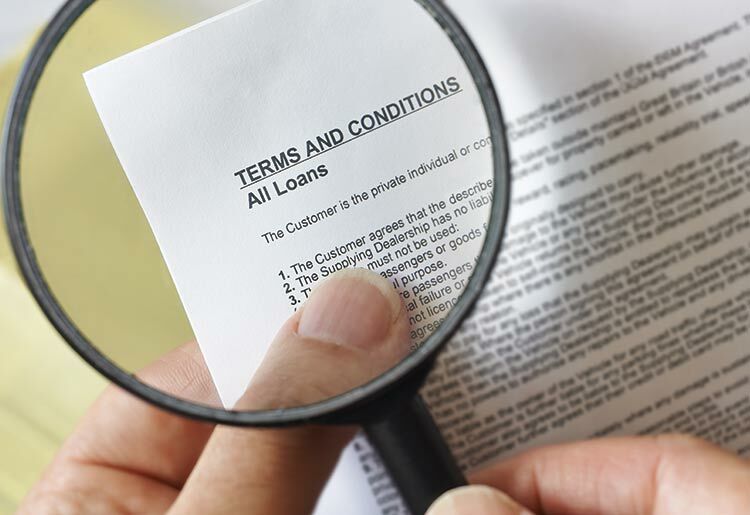 Whichever personal loan lender you go with, you should always read the small print carefully. Look out for added fees and extras such as loan repayment insurance policies, which will be sold to you as vital for your piece of mind but are likely to be unnecessary. Sure, the loan that offers the lowest interest will always be attractive, but you shouldn’t make this the sole deciding factor. You should adopt a holistic approach that looks at other factors as well. For example, if you hope to be able to repay your loan early then you want a loan that doesn’t charge any early prepayment fees. You’ll want to look at the origination and arrangement fees, which in some cases could be high enough to negate any savings you would get from the rates. 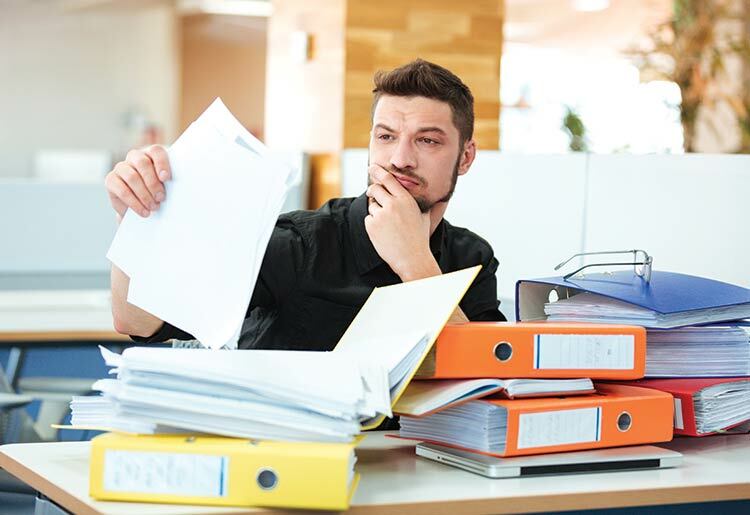 Some lenders hide high loan origination and arrangement fees under the front of their low APR, so compare the TAR—total amount repayable—and not just the APR rates. While searching online it’s easy to find unofficial lenders and loan offers that sound almost too good to be true. These sites may offer attractive terms and rates, but you’re also exposing yourself to risk by entering a financial agreement with a company that is less well-established. Without some kind of official backing, you’re at the mercy of the lender who could suddenly jack up the rates, call in the debt, or sell your debt to another creditor. The bottom line—make sure your loan provider is legitimate. Nothing can come between your relationship with a loved one like money. When you’re on the hook to a friend of yours suddenly hanging out can be awkward and uncomfortable. You might quickly feel like they are questioning you every time you spend money and in turn you can resent them for being in a position of power over you. It’s also common for a friend to change their mind and call in the debt early, leaving you in a worse financial position than before. In addition, if the loan is on paper—such as, if the friend or relative cosigned a loan for you—then you also raise the risk of harming their financial standing if you can’t keep up the payments. Your credit score can be one of those things that you don’t pay much attention to—until it really matters. If you apply for a loan without checking your credit score and then get rejected, that will lower your credit score even more. Look up your credit score before you start applying for a personal loan—it’s free—so that you can choose a loan that fits your credit standing. Even if your credit score is low, it’s best to know in advance and approach one of the lenders that offer loans for bad credit instead of wasting your time applying for loans with companies that have rigid credit requirements that you don’t meet. If your credit score is low because of fraud or a mistake, it’s best to correct that early and not when you’re under stress to find a loan in a hurry. You can take a series of easy, straightforward steps to improve your credit score, and can even hire a credit repair company to shore up your foundation. Asking someone else to co-sign a loan might not seem like a big deal. After all, it’s your loan and you have every intention to pay it, you just need someone else’s name alongside yours on the contract in order to get approved. Do not be fooled though, the dangers of co-signing a loan are well known. It’s likely that whoever you ask really doesn’t want to put their financial security, credit rating, and future on the line but they might not know how to say no, and may be helping you because they feel compelled to because they are your friends and family. If you get a loan through cosigning then there’s a good chance that the lender really doesn’t think that you can make payments and expects to have to call on the co-signer to cover the debt. If you can’t get the loan without a co-signer, then arguably you shouldn’t take that loan to begin with. Payday loans are fast, easy to get and you don’t need to provide any information about your financial situation in order to get one. However, they are not without risk—to put it lightly. Interest rates for the average payday loan can reach over 300% and lenders are notorious for pursuing debtors in unpleasant ways. Many payday loan providers demand access to your bank account, which never ends well. Be aware that payday loans are illegal in 13 states. Lying or withholding information on your loan application is another major no-no. The lender or bank should be able to quickly determine if you were less than honest with them. When that happens, your loan will certainly be canceled and your credit score will take a serious hit. Now that you’ve decided to take out a personal loan, take our advice to heart and shop around a bit before making your decision. Keep these tips in mind while deciding on which personal loan provider to go with. To learn more about personal loan providers, read our in-depth reviews.